Do you make a product your customers use? Great news! 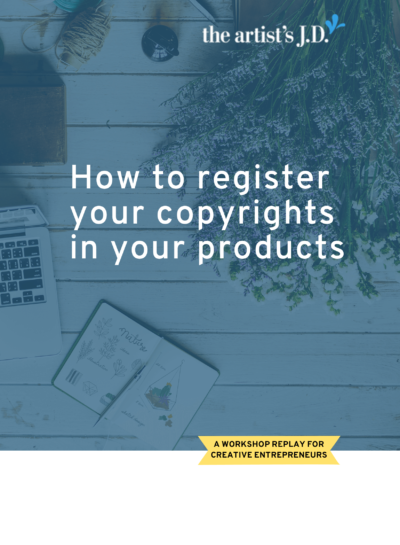 You can get instant access to a 45-minute workshop recording that not only explains which portions of your products are protected, but how to register your copyright in them! I met Kate Koeppel during my Makeshift Society residency shortly after I launched this site. I loved how she was super stylish, but also a little nerdy. And her line of wood dividers is a perfect reflection of those elements of her personality. Allowing you to get hyper-organized and a little nerdy, without sacrificing style. When I heard the story that she is sharing below, I immediately asked if she would be willing to share it with you. Because I knew that so many of you would relate to it. A few months ago I woke up to an inbox full of emails from friends, clients and strangers, letting me know that another business was selling products that were a knock off of my own products. The knock off products had gotten a fairly big piece of press online. It was my biggest business fear come true, someone was stealing my ideas, and profiting from it! It was my biggest business fear come true, someone was stealing my ideas, and profiting from it! 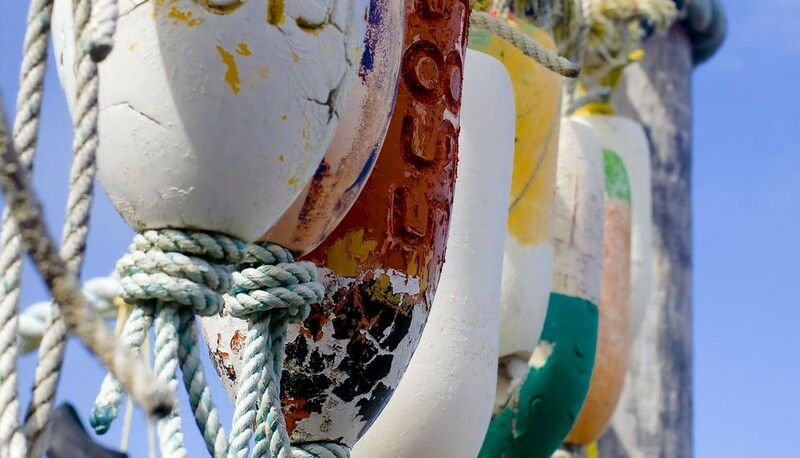 Everyone says ‘imitation is the sincerest form of flattery’ but no one mentions that it is also a big kick to the gut, and no small business owner feels flattered by it. At first I tried to ignore it, but after more emails, and finally caving in to some investigation online, I found that this other product was similar to my product in look, packaging, descriptions and utility, but I had no idea what to do. I had friends suggesting every manner of response: shame the designer online, sue him immediately, trademark everything, write an angry letter, ignore him, go knock on his door and knock some sense into him… I had no idea what my rights were, or what the best response should be. It wasn’t the first time this had happened, but the more emails I got, the more frustrated I felt. Every time I tried to put it out of my mind, I got another email! The more I stewed, the more flooded I felt. The rage spiral began. I was mad, disappointed, and really unsure about what I could, or should actually do. I was also really afraid of doing the wrong thing, and creating bigger problem for my business. The rage spiral began. I was mad, disappointed, and really unsure about what I could, or should actually do. My productivity plummeted. I was so caught up in worry and stress, I had a really hard time focusing for about 2 weeks. Instead of focusing on work and production, I was completely invested in worrying and feeling defeated. I felt even angrier at myself for letting this derail my progress and hard work. Instead of seeking help, I fretted about the whole thing instead of asking for legal advice right at the beginning. Ask for help! After drafting several angry emails to the designer, I wrote a calm one and felt better after sending it. The designer wrote back, and while he didn’t apologize, he did stop selling the product within days of receiving the email. I didn’t actually know if what I did was right or wrong, but I felt immensely better that I handled it privately and stood up for myself. I was still really uncertain about the best course of action, and questioning whether I’d done the right thing. I finally had enough, and made an appointment to get my questions answered. After talking to my lawyer, I felt relieved to have concrete answers, and was able to get an action plan in place. I learned about copyright law as it applies to my work and future work. We discussed how to (and how NOT to) address the issue step by step when it inevitably happens again. We were able to cover every question I had, plus talk about issues I hadn’t even considered. After our talk I had a legal plan, I felt relieved, and was ready to move on and get back on track with my business, just in time for my holiday production schedule to kick into high gear. 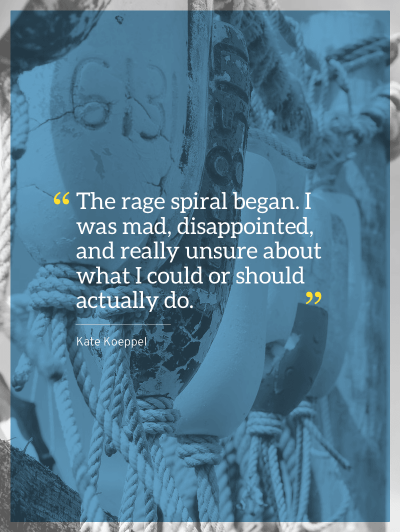 Kate’s experience is something that you can’t ever really avoid. Because avoiding it requires the cooperation of people you have no control over. But there is one thing you can control: having an action plan to deal with it when it happens. So that when it happens you can calmly react and implement your plan. Sadly, this is a situation many of you will face. I know that it’s not fun to think about. But having a plan in place before it happens will empower you to take charge when the situation arises. Decide when you will take action when someone uses your content without your permission. Decide the one self-care activity you’ll do to help get you back on your feet. 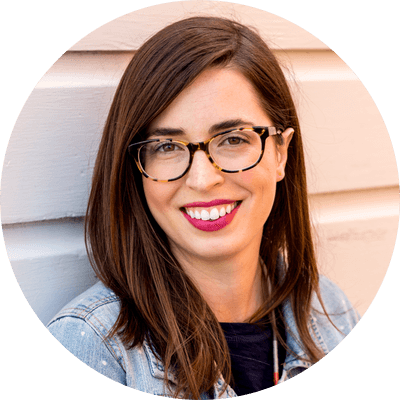 Want to connect with Kate? You can check out her amazingly stylish wood dividers here. Or you can get inspired to organize your book and record collection via her Instagram account.